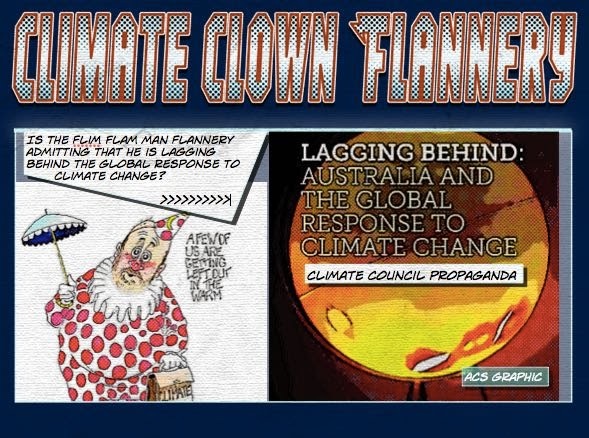 Climate Clown Flannery's Foolish "Facts." Professor Tim Flannery is one of Australia’s leading writers on climate change. They say this despite the sloppiness of his work - The Weather Makers. It was full of misinterpretations, contradictory statements, exaggerations and unsupported dogmatic statements. AUSTRALIA has done an exemplary job at controlling its carbon emissions and is on target to do an excellent job at reducing them. Certainly Australia has done better on most measures than the US, though you wouldn’t guess that from Barack Obama’s patronising, anti-Australian speech in Brisbane. You wouldn’t be able to discern the reality of Australia’s performance from most mainstream media coverage either. 1 China and the US have firmly moved from laggards to global leaders on climate change. 2 In the last five years most countries around the world have accelerated action on climate change as the consequences have become more and more clear. 3 Australia, a crucial player in global climate action, moves from leader to laggard. 4 Global action must accelerate to protect Australia and the world from the consequences of a changing climate, sea level rise and more frequent and intense extreme weather. This is as sloppy as his Science Fiction Tome "The Weather Makers." China has just announced their intention to keep increasing emissions until 2030. Tim, would you say that this is slightly "Laggard?" 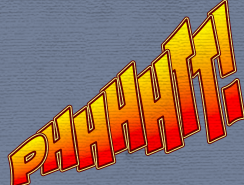 US POTUS Obama did not announce a commitment but only his "intention" to reduce emissions and stifle the US economy. As he controls neither of the US houses, he would have to use "executive action" against the wishes of the US electorate. This "executive action" most surely would be overturned after he leaves office in two years. As far as actual performance to date is concerned, as Greg Sheridan says: "Australia has done better on most measures than the US, though you wouldn’t guess that from Barack Obama’s patronising, anti-Australian speech in Brisbane." consistently present a false picture of what’s happening internationally mainly by presenting facts in a misleading or distorted fashion. Sometimes the distortions are so great they are virtually making new facts up altogether. Thus they will talk about tiny pilot carbon emissions trading schemes, which charge zero dollars and have no measurable economic impact, as though they are the equivalent to the huge and punitive carbon tax Australia had under the Gillard government which the Abbott government repealed. 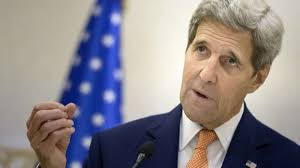 Another distorting trick is to present the vaguest aspirations of foreign governments as actual policies operating today. Northern Hemisphere politicians are brilliant at grand visions and no implementation. Even Germany is now abandoning its 2020 targets. 3: Australia moves from leader to laggard. As the previous two points show, this is a Flim Flam Lie and also a Main Stream Media Lie. more frequent and intense extreme weather. 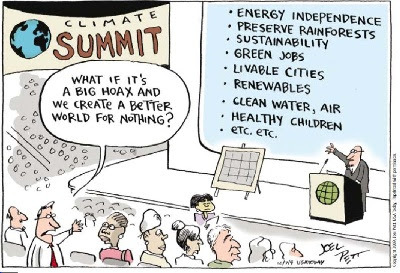 As Climate has changed since the beginning of time, what consequence of climate change is the Flim Flam Man talking about? Does he mean the catastrophic man-made global warming (CAGW)? There has been no global warming for 18 years despite the continuing increase of falsely accused carbon dioxide. So, No Global Warming and therefore no consequence of Global Warming. Do you know that Sea-level rise is natural, and declining in rate? 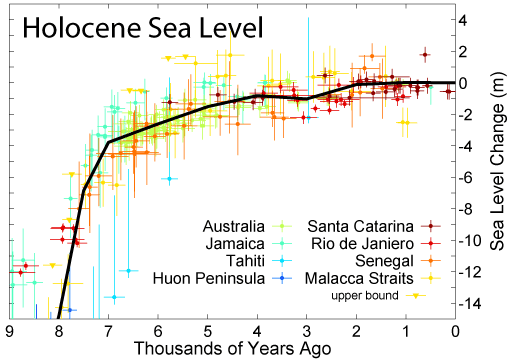 Looking at the big picture, when measured in metres, there has been no great sea level change for 2000 years. 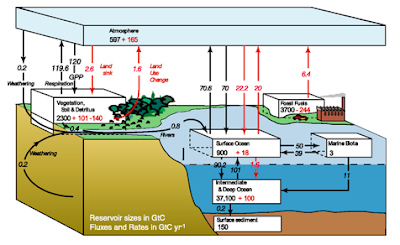 the present simple empirical forecast of sea level change until 2100 is about +34 cm. Hey, Tim! If those figures are right, that means that we have around 90 years to build a half-metre-high dyke around the world's lowlands. The Alarmist IPCC has reluctantly rebutted this frequent furphy from fear-mongering falsifiers. The IPCC's recent report finally admitted the pause in warming and admitted that their models didn't predict the increase in Antarctic sea ice. But now the IPCC can’t be sure at all we’re suffering from many extreme weather events, either. It even admits its past warnings of more droughts were “overstated”. In summary, there is low confidence in observed trends in small-scale severe weather phenomena such as hail and thunderstorms because of historical data inhomogeneities and inadequacies in monitoring systems. In summary, the current assessment concludes that there is not enough evidence at present to suggest more than low confidence in a global-scale observed trend in drought or dryness (lack of rainfall) since the middle of the 20th century, due to lack of direct observations, geographical inconsistencies in the trends, and dependencies of inferred trends on the index choice. Based on updated studies, AR4 conclusions regarding global increasing trends in drought since the 1970s were probably overstated. However, it is likely that the frequency and intensity of drought has increased in the Mediterranean and West Africa and decreased in central North America and north-west Australia since 1950. Table 2.13 shows that there has been a likely increasing trend in the frequency of heatwaves since the middle of the 20th century in Europe and Australia and across much of Asia where there are sufficient data. However confidence on a global scale is medium due to lack of studies over Africa and South America but also in part due to differences in trends depending on how heatwaves are defined (Perkins et al., 2012).This combined with issues with defining events, leads to the assessment that there is medium confidence that globally the length and frequency of warm spells, including heat waves, has increased since the middle of the 20th century although it is likely that heatwave frequency has increased during this period in large parts of Europe, Asia and Australia. Callaghan and Power (2011) find a statistically significant decrease in Eastern Australia land-falling tropical cyclones since the late 19th century although including 2010/2011 season data this trend becomes non-significant (i.e., a trend of zero lies just inside the 90% confidence interval). Changes in extremes for other climate variables are generally less coherent than those observed for temperature, due to data limitations and inconsistencies between studies, regions and/or seasons. However, increases in precipitation extremes, for example, are consistent with a warmer climate. Analyses of land areas with sufficient data indicate increases in the frequency and intensity of extreme precipitation events in recent decades, but results vary strongly between regions and seasons. For instance, evidence is most compelling for increases in heavy precipitation in North America, Central America and Europe, but in some other regions—such as southern Australia and western Asia—there is evidence of decreases. Likewise, drought studies do not agree on the sign of the global trend, with regional inconsistencies in trends also dependent on how droughts are defined. However, indications exist that droughts have increased in some regions (e.g., the Mediterranean) and decreased in others (e.g., central North America) since the middle of the 20th century. Remember, all these quotes come not from sceptics but from the IPCC, the United Nations body most responsible for spreading panic about global warming - and the body with a strong vested interest in keeping that panic alive. This report should have had the words “Sorry we scared you” printed in big letters on the cover. ..... The future is not catastrophic. The fear-mongers must now be held to account. That includes you, Tim Flannery!